New Delhi, Sep 15 (IANS) Transitional credit claims worth a whopping Rs 65,000 crore received from traders under GST have stumped the government and the tax authorities are now preparing to check the veracity of claims of over Rs 1 crore. 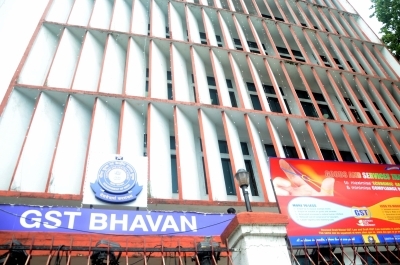 The Central Board of Excise and Customs (CBEC) has asked its officials to verify all transitional credit claims for more than Rs 1 crore as it does not rule out ineligible claims “due to mistake or confusion”. If the entire Rs 65,000 crore transitional credit claims are found genuine, it could burn a deep hole into the anticipated revenue collections under GST. Apart from transitional credit, government would also receive claims for input tax credit, the figure of which is not yet known. Finance Minister Arun Jaitley had said that the government had collected Rs 95,000 crore as GST for July with 64 per cent compliance. “The statement received from GST Network revealed that so far, the registered persons have claimed over Rs 65,000 crore as CGST transitional credit. The possibility of claiming the ineligible credit due to mistake or confusion cannot be ruled out. Accordingly, it is desired that the claims of credit of more than Rs 1 crore may be got verified in a time-bound manner,” Mahender Singh, Special Secretary and Member, CBEC, has written in a letter to Chief Commissioners across the country. A list of assessees in the Delhi region, who have claimed more than Rs 1 crore as credit in their Tran-1 showed a firm even claiming up to Rs 228.82 crore as transitional credit. “The carry-forward of transitional credit is permitted only when such credit is also permissible under the Goods and Services Tax (GST) law. It is required that such credit be verified to ensure that only eligible credit is carried forward,” Singh said in the letter. Such a verification would include matching the credit claimed with closing balance in returns filed under the earlier laws and checking the eligibility of credit under GST regime. “It is desired that the same should be done at the earliest with regard to assessees under your jurisdiction and a report sent to this office by September 20,” the letter says. The transitional credit claims of Rs 65,000 crore are only for Central GST. The states may also follow a similar examination and verification process of claims received under State GST. Listing out the key reasons for the staggering claims of transitional credit, GST expert Pritam Mahure told IANS: “One, it could be pertaining to closing stock lying with the manufacturers and traders (such as cars and electronics lying with dealers). Experts also suggested that traders should themselves review their claims, before the government initiates scrutiny and subsequent action. “The government seems to have concerns with input tax credits claimed in TRAN-1 forms by taxpayers and thus, it is advisable that the taxpayers should immediately get these credits independently reviewed to avoid subsequent penal implications on inadvertently claimed credit,” Jigar Doshi, Partner, SKP Business Consulting, said.